Matt Connor; Rory Feely, Maxim Kouogun, Damien Delaney, Kevin Lynch; Karolis Chvedukas (George Poynton 56), JJ Lunney; Zack Elbouzedi, Bastien Hery (Shane Duggan 46), Scott Twine (Izzy Akinade 81); Aaron Drinan. Brendan Clarke; Simon Madden, Lee Desmond, Kevin Toner, Ian Bermingham; Jamie Lennon, Rhys McCabe; Brandon Miele (D Markey 73),, Chris Forrester (David Webster 67), Dean Clarke (Gary Shaw 67); Mikey Drennan. 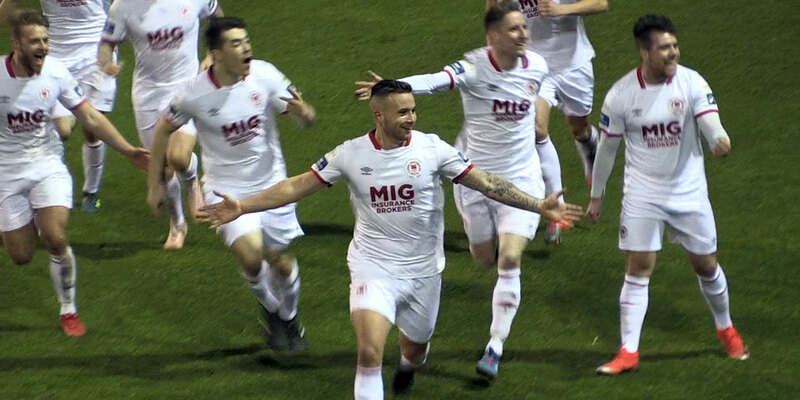 Aaron Drinan, one of Stephen Kenny's eight League of Ireland call-ups to his Under-21 squad for next week's Euro qualifier against Luxembourg, bagged a brace as Waterford easily saw off St Patrick's Athletic. The Blues were full value for their first home win of the season on a wet night before another healthy turnout of 2,013 at the RSC. Drinan, on loan from Ipswich Town, headed the opener on 18 minutes before killing the contest with his second on 63 minutes. 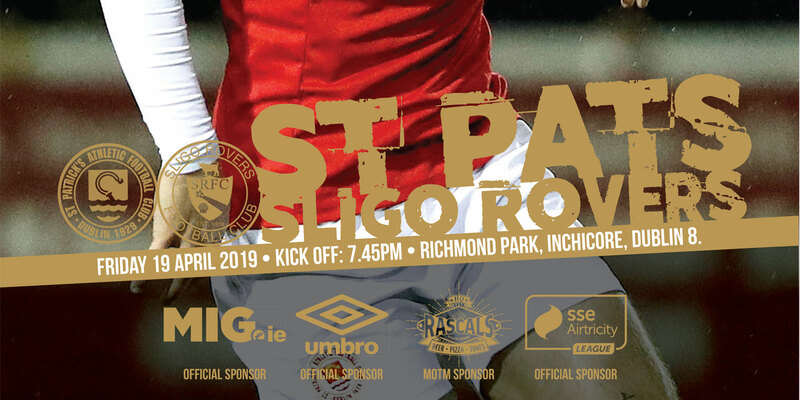 The Saints, beaten for the first time last week against Shamrock Rovers, began at the blistering pace, with Dean Clarke's third-minute shot forcing Maxim Kouogun into a goal-line clearance. Chris Forrester's effort on the rebound was denied by Matt Connor. It was the sign of an open contest, one proven by Scott Twine scampering away up the other a minute later on the break only to see his low shot repelled by Brendan Clarke. 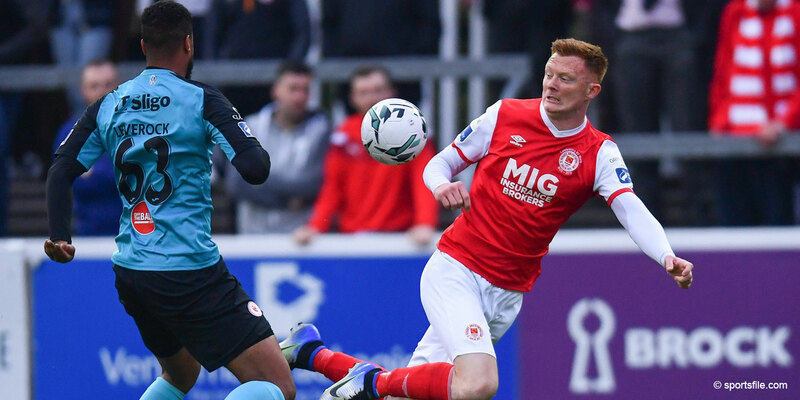 Kevin Toner has bad memories from his last visit to the RSC, having been dismissed last June, and he was fortunate not to see red again for a robust challenge on Bastien Hery. Waterford still made him pay by forging ahead from the resultant free-kick, as the Saints failed to clear Kevin Lynch's cross, allowing Drinan head through a thicket of defenders beyond Brendan Clarke. Drinan should have grabbed the opener only minutes earlier when he was a whisker away from connecting with Zack Elbouzedi's teasing right-wing cross. By the break, the Cork native might have scored again only for Clarke to deny his snapshot from 20 yards. Their best chance to extend the lead, however, fell to Elbouzedi. Drinan set up his fellow Ireland Under-21 squad newcomer to shoot from point-blank range but his volley clattered off Clarke's near post. Drinan missed another sitter from close-range straight after the restart from Shane Duggan's cross. Still, he eventually grabbed his and Waterford's second on 63 minutes. JJ Lunney did the spadework by darting into the box and his lay-off was completed by another first-time finish. All the Saints had to show for their second-half comeback attempt was Brandon Miele's long-range effort, which smacked off the post. Mikey Drennan, their only scorer this season, tucked away the rebound but was flagged for offside. Substitute Izzy Akinade might have added a third for Waterford but for a last-ditch challenge by Lee Desmond just as he was poised to pull the trigger. It didn't matter in the end.